New York City – Several more police officers and firefighters are being charged in an alleged fraud scheme, going back 26 years on these victims, which includes up to 1,000 fraudulent claims on Social Security Disability Insurance. The investigation continues in several states, arresting 28 people, the second largest-scale roundup in the broadening investigation, which has been going on now for seven weeks. January set the bar, with more than 100 people arrested (mostly former police officers and firefighters from New York City). However on Tuesday there were just 16 arrests, four were members of the Fire Department of New York; one had worked at both agencies; one worked at the Department of Correction; and six held other jobs, officials said. Manhattan District Attorney Cyrus Vance unsealed indictments charging them with grand larceny and attempted grand larceny. The arrest targets are all believed to have improperly obtained Social Security disability payments, the person said. Close to 10 state, city, and federal agencies are involved, and the arrests could span six or seven states. The January arrests mainly occurred in New York, but Tuesday’s arrests are encompassing other states as well, including Wisconsin and New Jersey. Congressional scrutiny of the SSDI program has ramped up in recent months after several large criminal cases have exposed what some lawmakers believe are large lapses in the system allowing people to obtain benefits who might not meet all the requirements. In August, federal and local authorities arrested more than 70 people in Puerto Rico on charges related to disability fraud. The House Ways and Means Committee plans to hold a hearing Wednesday on conspiracy fraud related to Social Security disability payments. Under the country’s Social Security law, people who suffer medically-established mental or physical disabilities that prevent them from being able to work at any job are eligible for Social Security Disability Insurance (SSDI) benefits. The amount varies, but in this case the average annual payment is approximately $30,000 to $50,000 for each suspect, Mr. Vance said about the case in the past. Those payments are in addition to their public pensions. The defendants are alleged to have claimed they suffered a psychiatric condition that prevented them from working, such as post-traumatic stress disorder, anxiety or depression. Many of the applications blamed working on and after the September 11, 2001 attacks as the cause of their ailments, Mr. Vance said previously. The alleged scam dates from 1988 to last year and involves more than 1,000 people filing fraudulent claims, authorities said. 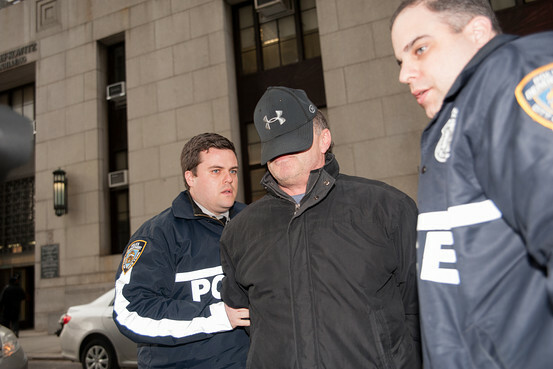 In January, the district attorney said that typically the participants were bought into the alleged scheme by a retired 64-year-old NYPD officer named Joseph Esposito, 64 years old, or 61-year-old John Minerva, a disability consultant for the NYPD’s Detective Endowment Association, the union representing detectives. Authorities noticed that many of the applications used identical phrases like “I have the TV on to keep me company” and “I’m unable to perform any type of work activity in or out of the house” and were written in the same hand writing. The subsequent investigation found many of those receiving the disability benefits were holding down jobs and some were participating in activities like karate, piloting a helicopter, jet skiing and game fishing. Now, we want to hear from you! Would you like to share your opinion or make a comment on the on-going investigation of disability fraud by police officers and firefighters? Please leave your comment or questions in the space provided below and share this article with your friends and family on Facebook and Twitter. Your comments or question could be chosen as our featured Money Question Monday and a phone call by financial expert Heather Wagenhals could dial your way to be live on the Unlock Your Wealth Radio Show. Original article courtesy of online.wsj.com.